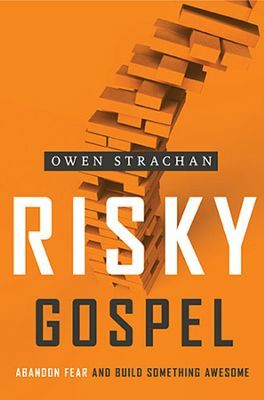 In Risky Gospel (Thomas Nelson, 2013), Owen Strachan urges Christians to live a life of bold and joyful risk secure in the knowledge that no matter how tough things get or how much suffering there is, those who are in Christ are already “more than conquerors” and have gained everything one could ever need or want. In his chapter on building “risky vocation,” he discusses how we ought to approach our work and calls us to “work hard wherever you are.” I thought his words below were excellent advice, especially for younger people – whether Christian or not – trying to launch their careers in a culture that too often stresses finding fulfillment in “dream” jobs at the cost of the kind of commitment and stability that can really pay off. “In different ways, we’ve been trained to think that our work isn’t important if it’s not the song of our hearts, the soundtrack to our souls. It’s great to connect your work to your passions…but let’s be honest: this is not always possible. Furthermore, it can be pretty tricky to pull this off while young. If you’re trying to get a career started, your best bet is to get started and work hard. “This may mean that you’re in a field you do not enjoy, frankly. But just working – especially a full-time salaried position if you can get it – will bring tremendous stability to your life. Find work where you can, and do it to the best of your ability. Don’t be like some today who set themselves up for disappointment by not really seeking anything definite, or by only lunging at their dream job” (127-128).